Prototype fast with modular hardware. Interact with the physical world from sensing to actuation to connecting with other devices. 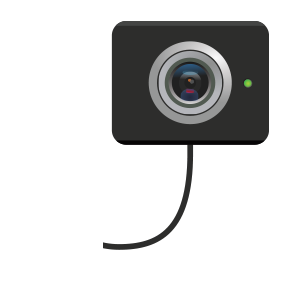 Each module has an open source library on NPM, with instructions and tutorials available online. It's literally plug, npm install, and play. 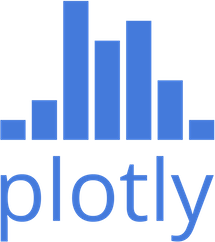 Build your application in minutes. // Connect to our ambient sensor. 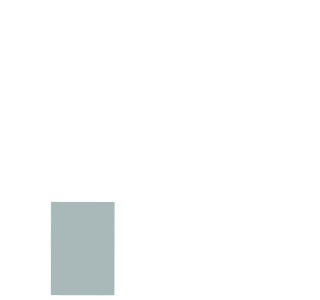 // Open a websocket to our app. Use your favorite text editor and libraries to program Tessel 2, just like any web development environment. Uploading new code is as easy as tessel run! Tessel has two USB ports. 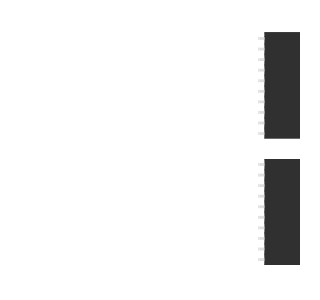 Plug in USB modules and control them with a simple script. Combine USB and 10-pin modules and run them with the same script. 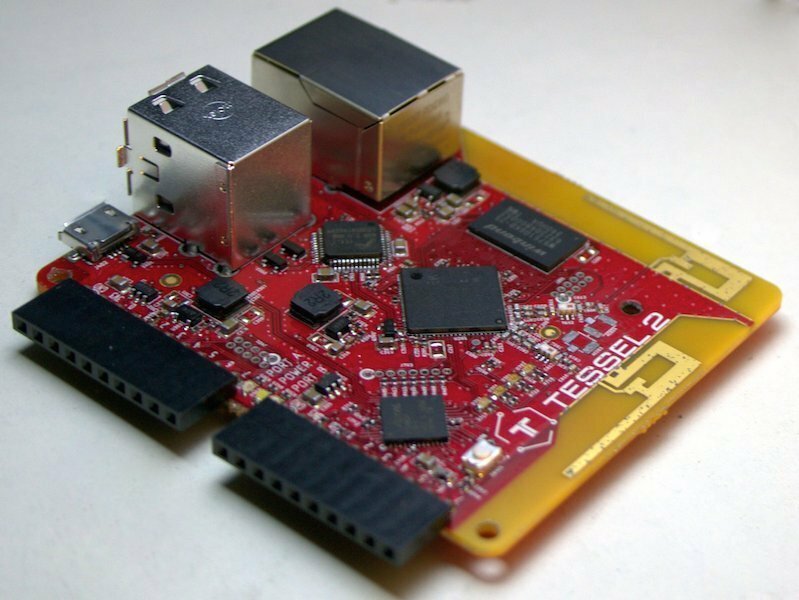 Just like the original Tessel, Tessel 2 is open source software and hardware. Contributions are welcome! 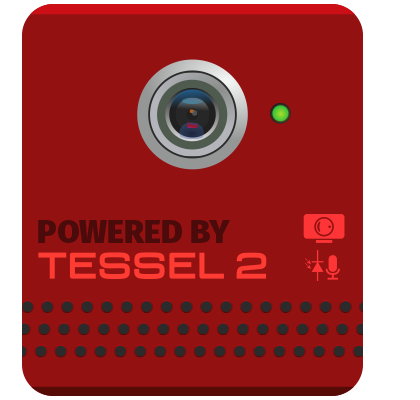 What’s changing with Tessel 2? New features on Tessel 2 include extremely reliable WiFi, an ethernet jack, two USB ports, and a system that runs real Node.js/io.js. We’ve also added support for scaling up: board customization options, and services for embedding Tessel in a product. When will my Tessel 2 ship? Tessel 2 is currently shipping! You can order T2s for immediate delivery from Seeed. Check out our modules page! 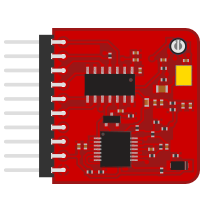 How is Tessel 2 different from other development boards? Tessel 2 is designed for the fastest possible path to production. 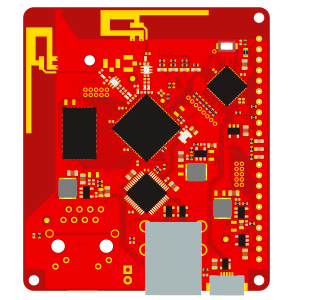 Plug and play modules and high-level APIs set it apart from most other development boards. Tessel doesn't expect you to set up and maintain a Linux system or track down pinout diagrams to wire up sensors (though the root shell and GPIO access are available should you desire them). Can I try out the Tessel platform? Absolutely! You can find in-person communities hacking on Tessels on our Community page. 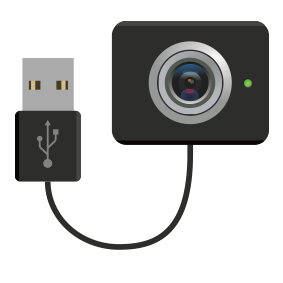 Can I use my own USB devices? Yes. 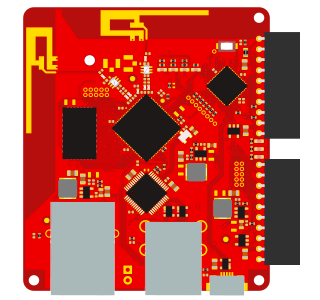 First-party modules will have high-level APIs and be tested to ensure driver support, but you can also add your own USB devices if the drivers are compatible and/or you dive a little deeper into the OpenWrt ecosystem. No– in fact, we're not a company at all. Originally, Tessel was produced by a start-up called Technical Machine, but it has since grown into an independent, all-volunteer organization called the Tessel Project. For quick questions, we're @tesselproject on Twitter. Longer questions are welcome on our forums. Questions about orders should be directed to Seeed Studio. Sign up to receive a periodic (monthly) newsletter about Tessel news. "This Week in Tessel" is where we highlight the latest news, projects, and events, from code, to community, to hardware manufacturing.